While the search for missing Department of Interior and Local Government (DILG) Secretary Jesse Robredo continues, the esteemed President Noynoy Aquino seems to have another dilemma to ponder on; having to choose the next Chief Justice from the Judicial and Bar Councilâ€™s shortlist after his most trusted sidekick, Justice Secretary Leila de Lima, got booted out due to her pending administrative cases in what seemed to be a stroke of karma. The presidentâ€™s agony was so obvious that he himself publicly declared that heâ€™s dissatisfied with how things turned out in the Chief Justice selection process. On Friday, Aquino had said he was dissatisfied with the shortlist of eight names for the next Chief Justice submitted to him by the Judicial and Bar Council. Five of the names are sitting associate justices of the Supreme Court, and three are outsiders. Still, in an attempt to emit an aura of integrity, the president emphasized that he will still choose the chief magistrate from the said shortlist. Despite his disappointment, the President said he will choose from the list given to him by the JBC. Aquino has until August 27 to choose a new Chief Justice to replace Renato Corona. To beef up this public image he tries to project, Palace officials keep saying this one thing; PNoy will choose the candidate who will spearhead reforms in the judicial system. President Benigno Aquino III will appoint a new Chief Justice who can be “at the forefront of judicial reforms,” Palace officials said Sunday. “Aside from the Constitutional requirements of independence and probity, the next Chief Justice is expected to lead way for judicial reforms,” deputy presidential spokesperson Abigail Valte said. Well, theoretically, thatâ€™s what should happen. Only I have no idea what PNoyâ€™s judicial reform actually means. 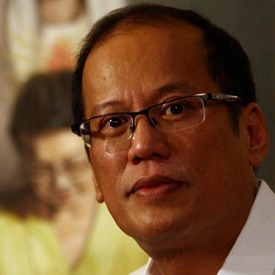 What does PNoy want to reform? What does he want to change? Ever since he started his hate-campaign against ex-Chief Justice Renato Corona, he just kept babbling allusions to this â€œjudicial reformâ€ thingy. Now that Coronaâ€™s out of the game, PNoy is still into this â€œjudicial reformâ€ concept. This inevitably begs the question: what is the methodology of this… judicial reform? I need no refresher course on PNoyâ€™s so-called objectives in trying to change (whatever it is heâ€™s trying to change) in the judiciary; transparency, accountability, a more effective justice system, bacon and eggs, so on and so forth; typical demagoguery. However, I have yet to hear an actual game plan, an explicit explanation on how his administration will carry out such reforms. So as not to sacrifice objectivity in defining terms, I searched for a good definition of judicial reform. Wikipedia says: Judicial reform is the complete or partial political reform of a country’s judiciary. This leads to another question: what does political reform mean? Â Political reform means improving the laws and constitutions in accordance with expectations of the public.Â Requirements of all the segments of the society are included in â€˜public expectationsâ€™. It would seem that judicial reforms are more structural in nature, which is kind of predictable, if I do say so myself. Judicial reforms usually involve amending the laws or the constitution that defines a particular political system. Well, is this what PNoy really wants? Amend the structure of the courts to supposedly promote good governance? How should anyone know? He never told us anything, other than he will choose a Chief Justice who can carry out this task. Several conundrums beg to be addressed. Really, what kind of judicial reform is PNoy talking about? Does he intend to amend laws concerning the judiciary through the next CJ? Will this entail the notion of a cooperative CJ, perhaps even subservient to the demands of the president? If yes, wonâ€™t this be a bad move, since the Executive, Legislative and Judicial systems are supposed to be independent bodies? If no, wonâ€™t this bring us back to the first question? Does he think selecting his preferred CJ is a reform in itself? If yes, I have a problem; that canâ€™t be a reform, since judicial reform is structural in nature. Besides, choosing a Chief Justice is a normal function of the President. There’s nothing revolutionary about that. Is he talking about his own brand of judicial reform or a judicial reform based on the future CJâ€™s initiative? If the former, we go back to number three. If no, why mention judicial reform in the first place? Why not just mention the constitutional requirements? Wonâ€™t it look like PNoy is merely inflating his criteria? And I must admit; Iâ€™m more inclined to this idea; itâ€™s the daang matuwid rhetoric all over again. If you would but recall PNoyâ€™s campaign videos prior to his presidency, weâ€™d know that he had little to no platform to back up his daang matuwid initiative. What exactly are the tools to be employed to achieve this? What are parameters, the determinants to confirm whether we have achieved the goal or not? What is the time frame for this initiative? Now, we have PNoy trumpeting the arrival of so-called judicial reforms… but what kind of judicial reforms? What is the methodology? How exactly will it be executed? The fact that PNoy casually leaves us with these unanswered questions might be a hint to his possible lack of standards in choosing the next Chief Justice, but thatâ€™s just me. Sigh, empty, platform-less agendas… indeed, old habits die hard. Next Article Should Ateneo de Manila faculty members who choose to continue to teach ‘reproductive health’ be fired? I should also mention about my observation about the 3 branches of government the Executive, Legislative and Judiciary. Have you guys noticed that the Judiciary unlike the other two has no enforcement power to implement its rulings? I mean look at the Executive the President, he is the supreme head of a nations armed forces and to some extent the civilian law enforcement, Senate and Congress (Legislative) also has that same power though at a lesser degree than the Prez but still they can command it. Now look at the Judiciary, it can make pronouncements like in the case of GMA and yet when De Lima blatantly ignore the SC’s ruling they could do nothing but protest. The Judiciary it seems can give only pronouncements but have no muscle to enforce it. This past events have shown how terrifyingly strong is the Executive’s power is when it mobilized (non-military) assets to crush a single person of the Judiciary and seems to have cowed (if not completely) the others as well. It seems that the Judiciary will beacome the proverbial weak link when one of Branches of Government (the Executive in this case)becomes too strong….. This Supreme court is the same court that allowed Gloria to escape. WHAT!? GMA has escaped!? But if she escaped then who is it that they are holding in detention that they claim is GMA?…..OMG I know it now, it’s look-alike scapegoat planted by Noynoy and his yellow minions! Dear God how diabolical making a scapegoat out of an innocent woman so that Noynoy and his yellow minions can show that they are persecuting GMA when in reality she has escaped! Thank you fishball for exposing the lie that Noynoy is working hard for justice when he is not. Get your facts right troll. The SC did not allow Gloria to escape. Your contempt for twisting the truth is very apparent. As I said before… Put a sock in it! Did you put facts and Fishball in the same sentence? Maybe if the adjective was “devoid” I could see that. AbNoy let Gloria escape when he voted not to play the “hello Garcie” tapes. and she’s on a legal battle despite the fact that she is a former president, and she gets no respect from his successor which is the son of cory. The Holy Saint Cory. The original dictator in disguise. Another one of your stupid posts eh fishball? You are sadly mistaken if you expect us to believe your yellow propaganda. You are getting too desperate now, why don’t you just quit your job since you aren’t even effective in doing your job. 2. Local Lawyers who do not want to waste time in any courts (due to judical disfunction.)! time of a formal hearing! adjudication can take several years! treatment under the laws of our land! and discriminaton for all individuals! It’s not right for the Executive department, or for the President to initiate refoms in a co-equal branch of government instead, reforms must be internally motivated, reforms itself must start from within that branch of government. But none would be surprised, as even from the very start, noynoy used to show intention of ruining the judiciary without even asking himself if there at least real reforms that has been initiated on his part as what he used to speak for in the past. The executive and the congress obviously are in cahoots to destroy another co-equal branch of government. Dictatorship in disguise. How about a “court for corruption”! the government and in the public…i.e. And the schmucks who voted for PNoy buy his bull hook, line, and sinker. Is there really any hope for this country? Ironically, I doubt that these reforms proposals coming from the head of state could only be a massive propaganda tactics. Instead of dictating his counterparts in congress and sc, it is more truthful to see those reforms being worked-out within his own block not in this case that he keeps on mouthing those words but jut to suddenly end up eating his own saliva. In the case of Sec. Robredo, guess who pays for the mismanagement of a few people, could be us, could be the government itself where the problems sprouted. Presidente Noynoy wants a puppet for Chief Justice. … like maybe early retirement for the likes of Judge Mupas who reverses Malakanyang moves because of…. ahem…. “… insufficient evidence”. And more judges who approve of any Malakanyang POLICE POWER actions against the labelled enemies of the state or against businessmen, students, mayors, governors or members of Congress that Malakanyang needs super-fast POLICE POWER actions against. HE SHOULD BE ALLOWED TO SELECT ANYONE HE WANTS,THEN THEY ARE CONFIRMED BY CONGRESS.IT DOES NOT HAVE TO BE COMPLICATED.BUT,HEY….IT IS MORE FUN….. Judicial reform principally concerns the reform in the judiciary which affects other aspects of the bureaucracy that deals with legal process, issues and questions. As to the question of the author, nobody knows exactly how the incoming chief justice will formulate, promulgate and craft the necessary reform needed. In the coming days, we will find out how the authorities will approach the issue of judicial reform and how they plan to pursue it, if ever.